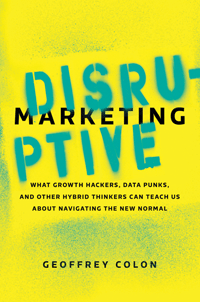 Here are 10 trends excerpted from the book, “Disruptive Marketing: What Growth Hackers, Data Punks and Other Hybrid Thinkers Can Teach Us About Navigating the New Normal” by Geoffrey Colon. 1. Mobile will be the dominant platform. Intelligent devices—smartphones, tablets, watches, wearable gadgets, glasses, microchips, HoloLens, and others—will reshape and remix the marketing world. As we shift to a world of intelligent devices, marketing will strike up an even more personalized relationship with customers. Those who can do it faster than their competition will lead in this evolving category. 2. Transparency will be part of all successful business customer relationships. Customers want more engagement from companies. Companies locked into a conventional broadcast model are failing. By 2020, customers will have an even greater expectation of transparency. Authentic companies, including those that admit their mistakes (a trend called “flawsome”), will be heavily rewarded, as will companies that make social responsibility a main part of their culture. Such actions help them form a connection with their customers. 3. Content is the new currency. In May 2013, I wrote a Fast Company article, “Is Content the New Currency?” explaining that content, especially educational and entertainment content, is a key part of people’s lives that will not change in the foreseeable future. However, because content isn’t static, new forms such as virtual reality, video games, 3D, and 4D are being issued on platforms that include Oculus Rift and Xbox. Soon, the wearable HoloLens will reshape how content is made. This is one area where disruptive marketing can set a new standard for engaging content. 4. User-generated content will be the most disruptive. The power of user-generated content will surpass that of branded content, as brands begin to relinquish control of their own marketing to customers. From online reviews to social media posts and blogs, this means there will be a strong need for brands to create a positive impact in their consumers’ minds. In response to this model of user-generated content production, content co-creation between brands and consumers will become a popular trend. 5. Social networks will become an ecosystem to rival the original Internet. Social networks have the full potential to become not just one of the channels but the channel—possibly another Internet in and of itself. We’re already seeing what we call social, interest, and economic “graphs”—places where people are connected based on a unique commonality. These graphs are growing by leaps and bounds owing to mobile, broadband, and high-quality content on platforms like Facebook, Instagram, Twitter, Tumblr, LinkedIn, Pinterest and Snapchat. 6. Brands will act as their own multimedia, bypassing press and publishers. By cultivating a brand community and culture with their customers, brands will begin to collaborate with their audiences (as opposed to simply trying to sell to them), creating loyalists and brand advocates. In the future, the seeds of branding and marketing efforts will be rooted in what customers are talking about and making. Customer responses and feelings toward the brand will dictate future product development or enhancement. 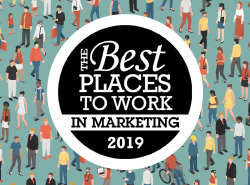 If the customers are happy, they’ll gladly wear the marketer’s hat and do what is needed to bring the brand to others in their interest or social graphs. 7. Brands that focus on Generation Z will have the advantage. The post-Millennial generation will be even more demanding than its predecessors, and brands will need to acknowledge that. For legacy companies, simply updating older marketing that targeted Millennials won’t be enough. By 2023 there will be a shift. Companies created by Millennials—such as Facebook, Instagram, or Snapchat—may have to pivot their entire product and strategy to survive. Generation Z will demand that companies be in business for something other than pure profit. Capitalism is about to be reshaped, and those who think solely about revenue as a sign of success will be sorely mistaken and rightfully abandoned. 8. Most disruptive marketing will be around products, not service. While service companies aim to create happy customers and look forward to contract renewals or positive social sentiments, product companies thrive on innovation and the future state. What exists in the here and now may be good, but what will exist in the future can and should be vastly improved. So, for marketers of the future, customer satisfaction and retention will not be enough. Innovative products and solutions will create more value for customers. 9. Personalized, data-driven disruptive marketing will become the norm. There is a difference between data-driven disruptive marketing and interruptive marketing. While the former is relationship oriented, whereby content acts as a currency to build trust, the latter is nothing but old-school push messaging in a shiny new digital wrapper. Marketers who focus on building relationships around good products will be rewarded, while fake fast followers with shabby products and poor service will be ostracized. to mine the right data. 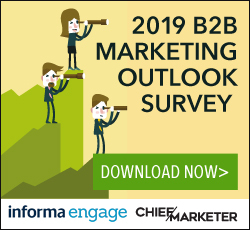 The future will witness the rise of better analytical tools to help marketers gauge success in terms of emotional and cultural relevance, as well as ROI. This article was originally published in 2016 and is frequently updated.